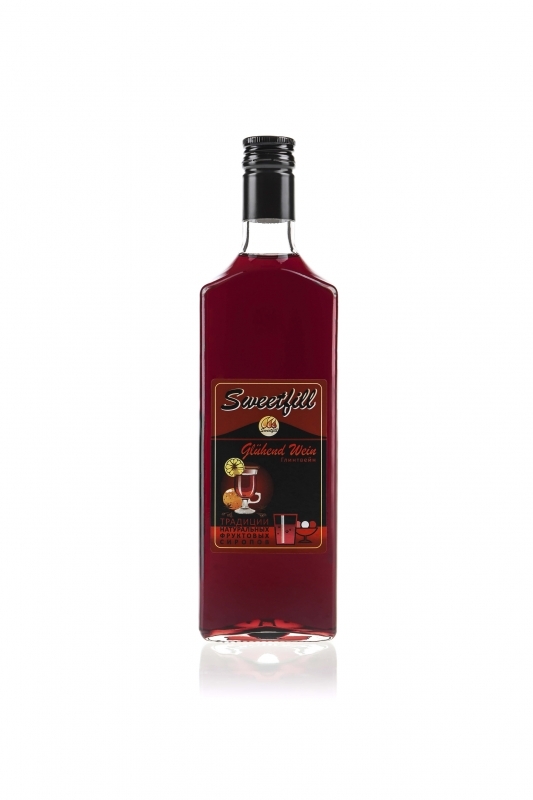 Dry Red wine 100 ml. Syrup "Mulled wine" 15 ml. Make espresso. Heat wine, cognac, espresso, syrups, honey and cinnamon. 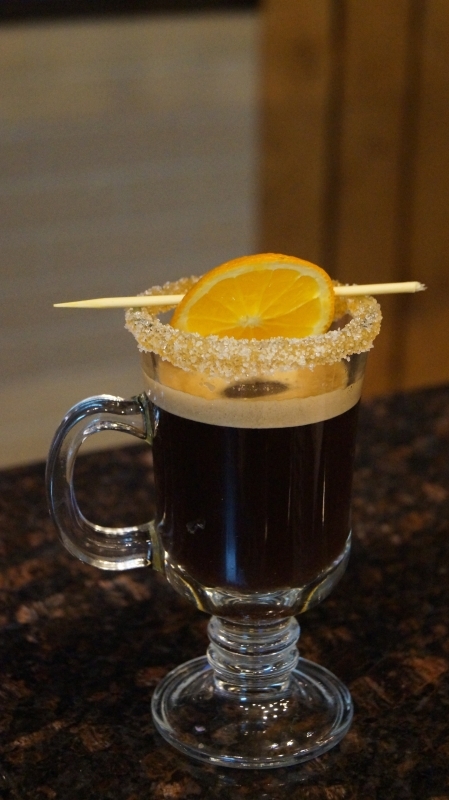 Pour into Irish Coffee with sugar coating. Decorate with orange on a skewer.